Running out of things to play on your 3DS or Nintendo Switch? 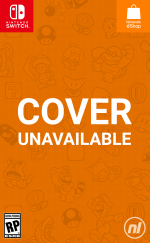 Well, we've got just the remedy - a brand new Nintendo Download update. 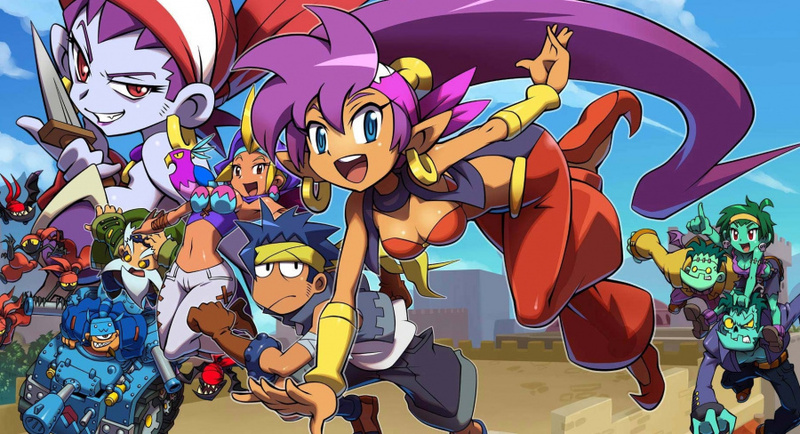 This week's haul is an impressive one, bringing with it a ton of new additions to the eShops, ranging from Neo Geo re-releases and indie curios to bigger titles from across the industry. We'd love to hear which games you'll be downloading (or not), so feel free to contribute to the poll and leave a comment down below. Enjoy! 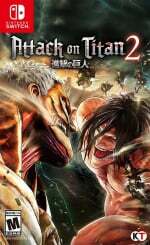 Attack on Titan 2 (KOEI TECMO EUROPE, €69.99 / £54.99) - Bonus AOC until 17/04/2018, 00:59 CEST - A.O.T. 2: Eren & Levi "Plain clothes" Outfit Early Release + A.O.T. 2: Mikasa & Armin "Plain clothes" Outfit Early Release Game description: Abandon all fear. A.O.T. 2 is the gripping sequel to the action game based on the worldwide hit anime series "Attack on Titan." Read our review. Slayaway Camp: Butcher's Cut (Digerati, £12.14 until 29th March - normally £13.49) - A puzzle game where you control Skullface, who's hell-bent on revenge. Slide him around hundreds of isometric puzzle levels to squash hapless victims in this darkly comic homage to 80s horror movies. Read our review. Swim Out (Lozange Lab, €5.99 / £5.39) - Over 100 levels nestled in carefully crafted landscapes, soothed by the sound of seagulls, frogs or water splashes. EAT BEAT DEADSPIKE-san (ARC SYSTEM WORKS, €6.99 / £6.29) - "EAT BEAT DEADSPIKE-san" is a rhythm action game spin-off of the 2D-fighting game series, "BLAZBLUE", that features Dead Spike-san in an eating frenzy. 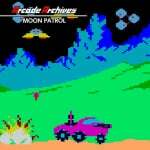 Arcade Archives MOON PATROL (HAMSTER, €6.99 / £6.29) - "MOON PATROL" is a side-scrolling action-shooting game released by IREM in 1982. Control a lunar rover as you jump to avoid obstacles, and move forward while defeating enemies that shoot missiles from above or rockets towards you. The goal is to make it through the Beginner Course and Champion Course. ACA NEO GEO WORLD HEROES 2 JET (HAMSTER, €6.99 / £6.29) - "WORLD HEROES 2 JET" is a fighting game released by SNK in 1994. It is the third title in the WORLD HEROES series. Sixteen heroes, villains, and other fighters have gathered to determine who is the strongest in the world. With dashes, back steps, and the addition of a counter system, you can enjoy speedy battles. Gate Of Doom (FTE Games, €6.99 / £6.99) - Play with your friends and close the Gate Of Doom forever! 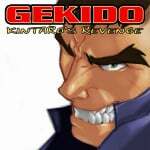 Gekido Kintaro's Revenge (NAPS Team, €14.99 / £13.49) - A year has passed since the epic battle that decided the fate of mankind and claimed the life of the beloved Angela. Dark omens once again tell of the return of an evil presence. Ushi is the last remaining master of the ancient art of Shin-Ken, and he calls upon Tetsuo, his disciple and adopted son, to investigate some strange happenings in a faraway farming village outside the city. 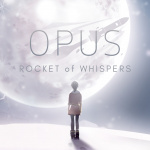 OPUS: Rocket of Whispers (Flyhigh Works, €8.99 / £6.19) - Throughout OPUS: Rocket of Whispers you will play as two survivors of an apocalyptic plague. Help them achieve the unimaginable goal of building a rocket, so they can return the deceased to their cosmic homeland through the ancient tradition of space burials. 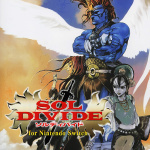 SOL DIVIDE for Nintendo Switch (Zerodiv, €6.99 / £6.99) - Vorg heard a rumour that the army of Satan was searching for treasures called Seirei stones, which led him to think that the time for revenge has come. Vorg, who was a holy knight in Western Kingdom, Miltia, was in the forest town of Neraphai working for a mission when the king of Satan, Ifter, invaded the Kingdom of Miltia with Dhatilos armies. ARMS Global Testpunch (Nintendo, Free) - A new global Testpunch for ARMS, which lets Nintendo Switch owners try out select modes for free, will be running for three days starting on 31st March. To participate, players just have to download the Testpunch in Nintendo eShop on Nintendo Switch. Super Rocket Shootout (Plug In Digital, €9.99 / £8.99, pre-order from 22/03/2018) - Super Rocket Shootout is a frantic 2D pixel art brawler game, mixing platformer and fighting mechanics. Charming characters, destructible environments, cool weapons and awesome jetpack make this a blast to play alone or with up to 4 friends. Where are all the discounts? Even though they are not shown on the list I will be getting. Rocket League, Apollo Justice and maybe Oceanhorn. Yea, where the discounts at? Got Monster Hunter Stories and Metal Gear Solid: Snake Eater 3D for 3DS. Trying to decide if I should go for Resident Evil Revelations 1 & 2, Doom, Skyrim or L.A. Noire. Anyone remember how much the discount is for Resident Evil when you buy both? And how does it apply in this situation anyway? I was going to buy Crypt of the Necrodancer as it's on sale but tried the demo before I did and didn't really like it. Count Lucanor I thought about too but that can wait for another day. I'll be buying Outlast 2 on Tuesday. Seems like this news post is half done at this point. Hopefully it will completed with the discounts. @Bunkerneath Yep it is even the same price on PC where price are normally €10 cheaper. They did the same for Dynasty Warriors 9. It is a koei thing that they charge way too much even on PC. I'm getting Detective Pikachu and Spirit of Justice, weird the discounts aren't mentioned. Edit: Ah they're in a separate article. Already downloaded the new Switch game demos as is my custom. Might even get round to playing one of them (e.g. The saucy one 😉). Will add DARK SEAL aka GATE OF DOOM, that GBA beat-em-up 'Kintaro's Revenge' and the Psikyo shoot-em-up SOL DIVIDE to the wishlist. Possibly MOON PATROL too as its music is a major ear-worm. @OorWullie How did you get on with OUTLAST 1. Roughly how long does it take to finish? 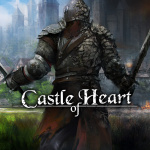 @Lroy Haven't played the game but howlongtobeat says it's a bit more than 5h, 10h for completionists. @Lroy Haven't completed it yet. I believe it takes around 6 or 7 hours. Then there is the DLC too which is supposed to be really good and lasts around 3 hours. I always take longer than the average time though so likely 8 hours and 4 hours for me. Really good game and one I'd definitely recommend but it isn't really scary. It can be tense and has several parts that will make you jump. It's absolutely brutal gory adult entertainment though. Never played a game as graphic as this. Layers of Fear I've so far put 20 hours into. Started my 2nd playthrough already as there are different endings. As you move through the mansion there is different routes to take so certain scenarios will be different each play through. I've finished the DLC too and will also play through that again as there is 3 different endings for that. My first time took me around 3 hours. I can't recommend LoF enough, it's genuinely scary and is an experience I'll remember for years to come. That Metropolis: Lux Obscura DEMO!!! Am I watching and hearing these things on a Nintendo platform? @neufel @oorwullie Cheers for getting back to me. OUTLAST wasn't on my radar at all but I just happened upon some footage and it kept me watching. I'm a HUGE horror film and literature fan but never really played that many 'horror' video games. I think the latter is largely because I play games with and often alongside my wife and children. So not suitable to share with them. However, might make for an interesting change of pace for me in terms of a game I can play with headphones in handheld mode late at night solo. I already purchased the Pokken DLC after the Direct Mini so that's it. Two massive thumbs up for my guys at KOEI Tecmo for charging £35 for 16 costumes. And that Deluxe edition, for that price you expect a season pass and more content / promised free dlc content.. but nope pay almost double the price and get a handful of costumes. Funny thing is people will still buy it at those prices. I can't believe 2K is actually releasing DLC for WWE. The game needs overhauled completely before there's anything to add to the burning dung heap that is WWE. So sad they are scamming people out of their money. @SilentHunter382 @Bunkerneath At least in GBP its the standard AAA price point, unless you are EA and slap a higher tag on it, because EA. Generally speaking if you enjoy the gameplay KT produce you are by far getting a ton of bang for your buck in content. 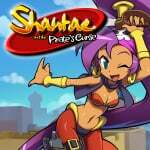 I'll be checking out Shantae, Moon Patrol and Swim Out this week. Interesting, both RE Revelations games are part of a discount. Does anyone know if the "buy one, get a discount on the other" is added on-top of this discount here? Both have a 25% sale discount and as far as i know, get a 10% ownership discount. So, would the second game end up with a 35% dicount or even a cascading one ((Base-25%)-10%)? For crying out loud, £35 for 16 costumes on AoT, that's insane. Just take a look in the eShop. There are A LOT of games on sale right now. Even very recent titles like Fe, Super Meat Boy and Owl Boy. I hope this mediocre sale does not distract people from Sol Divide, which is really pretty great. Anyway, i'm wondering if i should get AOT2 or if i should get the first AOT game or the 3DS game first. So far, i've only seen the first season of the anime. @EmirParkreiner AOT2 retreads everything story wise (plus more inbetween) from the first game. There isn't really that much reason to go through that one first. Can't say much about the 3DS one. They aren't tied together. Where’s Slayaway Camp in the voting, guys? Oh, so it works like Koei's Fist of the North Star Ken's Rage games, nice. @chardir on the ps store where they always are. Honestly discounts on the eshop are laughable. I just picked up Wolfenstein the new order for 5 quid over there. Every week more games are discounted heavily. The best we get on the shop is a few pounds off already over priced games. It’s becoming a joke. @OorWullie yep I fancy that too. @EmirParkreiner Yeah 2 is pretty much 1 but with more.